After being called to the Torah, a man says, “…Who (natan), gave, us the Torah of truth and (natah), implanted, eternal life within us.” A natah, plant, grows from a seed. What makes the seed grow, to eventually become a plant? You need to give it the right amount of water, sunshine and most importantly, to care for it. If you don’t take of it then it will just sit there, wilt and eventually die. Marriage is like a plant. It starts out as nothing more than a seed. In order for marriage to grow, it requires one to give to the other, on a constant consistent basis. As the saying goes, “What you give is what you get.” What you put into marriage is what you get out of it. Rav Eliyahu Dessler says, “Every positive emotion stems from giving and flows outward from us to others, whereas every negative emotion revolves around taking for selfish motives” (Strive for Truth). Indeed, the root of the Hebrew word for ahava, love, is hav, to give. In other words, “Giving leads to Love. Hence, one of the books that the Chofetz Chaim wrote he called “Ahavat Chesed, loving kindness” - to give with loving kindness! The first man alone in the world is referred to by the Torah as Adam. Only upon being given a wife (Yevamot 62b) is he called ‘ish’ and she is called ‘ishah’. G-d wants the husband and wife to be one flesh (Genesis 2:24). The Baal Haturim says, “Man and wife are in reality one flesh as they were at the beginning of Creation. Rav Hirsch adds, “This can only be accomplished, if they also become one mind, one heart and one soul. Also, they must use all their strength and effort to the service of Hashem” The Hirsch Chumash 69-70, (Genesis 2:24). What is the biggest blessing with which to start marriage? Peace, as the Mishnah (Uktzin 3:12) says, “Peace is the vessel for blessing”. Rebbe Shimon bar Yochai (Zohar 2:10b) adds, “… He [G-d] is peace, His Name is peace and everything is bound in peace”. In addition, “The whole purpose of the Torah is peace” (Tractate Gittin 59b). Our sages teach that when there is peace and harmony between a man and his wife the Divine Presence dwells with them (see Rashi to Tractate Sotah 17a). We also find that the Divine Presence dwelled with us at Mount Sinai. Rashi says, “Echad, one man with echad, one heart” (Exodus 19:2). Echad + echad = 26, which is numerical value of G-d’s Name! A person who brings peace into his home is considered by G-d as if he brought peace to the entire Jewish people (Avot D’Rabbi Natan 28:3). The Sifra (Bechukotai, 1:8) emphasizes: “Peace is the seal of all blessings, because without peace, all prosperity, health, food and drink are worthless”. However, Proverbs (17:1) goes to the extreme, “A slice of dry bread in a home with peace is better than a wealthy house filled with strife”. How to create a peaceful marriage? Unfortunately, Dale Carnegie did not write a book on this subject. However, Rabbi Shafier recommends that both spouses need to turn off their individual “WII FM station” - What’s In It For Me and turned it onto their unified “WII FU” station - What’s In It For Us! Once, Rabbi Aryeh Levin’s wife felt pain in her foot. They went to the doctor together where the doctor asked, “What can I do for you?” Rabbi Levin answered in all sincerity, “Doctor, my wife’s foot is hurting us” (A Tzaddik in Our Time 150 – 151). “G-d is One.” Rabbi Aryeh Kaplan says, “He doesn’t consist of three persons known as the Father, the Son or the Holy Ghost.” G-d is One and only One. The same with Marriage: “A husband and wife are in essence, one entity” (Berachot 24a). They are one soul that happens to physically exist within two people. With G-d’s help, our marriages should always maintain their freshness like the way Aaron the priest lit the menorah – both spouses should never take each other for granted - and the bond of love that exist between them, should be like that of David and Jonathan (see II Samuel 1:26). How does someone not take someone else for granted? When they show their appreciation. 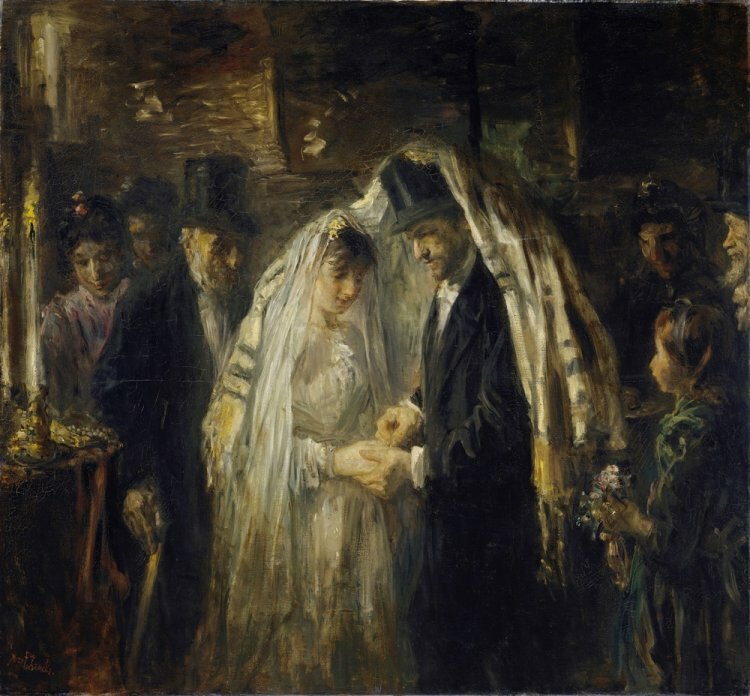 Rabbi Michel Yehudah Lefkowitz says, “A husband should show appreciation to his wife and a wife should show appreciation to her husband.” As the Medrash states, “Proper behavior comes before the Torah” (Vayikra Rabbah 9:3). To what extent? Rabbi Chayim Vital says, “One must exert greater caution to exercise proper character traits than in observance of the mitzvot” (see Gates of Holiness 1:2). What is the definition of appreciation? Rabbi Yisrael Reisman says, “Appreciation is to feel gratitude by recognizing the good that someone has done on your behalf… The level of appreciation someone should feel is in proportion to the magnitude of the kindness rendered. It is not about who did more for whom…” (Let There Be Rain, p.318). It is about honestly acknowledging what others have done on our behalf. Rabbi Eliyahu Dessler says, “The basis of true love of G-d is appreciation” (Strive for Truth). In addition, Pirkei D’Rabbi Eliezer says, “There is nothing worse before Holy One, blessed be He, than to be an ingrate” (chapter 7). May all of mankind soon reunite with their groom -the Holy One, blessed be He!! !